This ravine was probably drawn from the imagination, and the cartoonish waterfowl give an air of unreality. But Leonardo has depicted with geological accuracy the weathered pillars of sandstone and hard clay peculiar to the Arno valley, south-east of Florence. 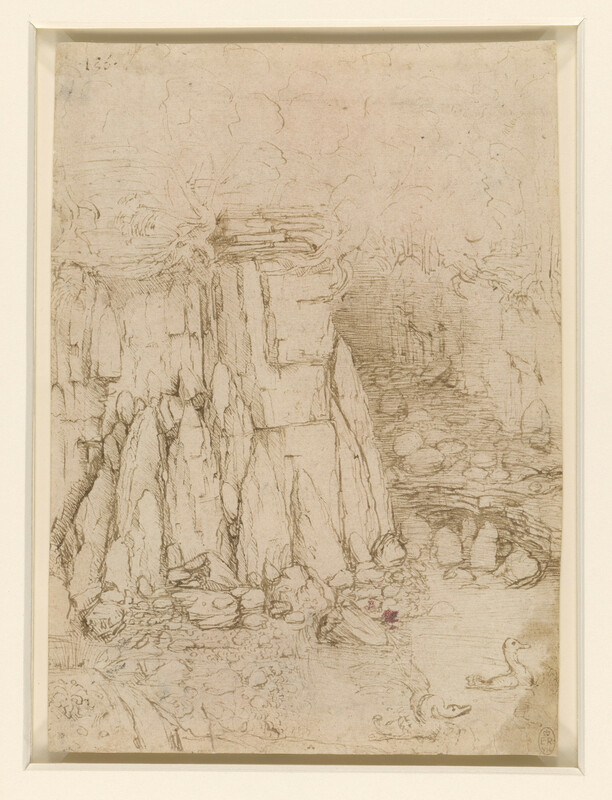 The drawing seems to be contemporary with Leonardo’s altarpiece, the Virgin of the Rocks (Paris, Louvre), commissioned in Milan in 1483; and while it is not directly preparatory for that painting, the grotto in which Leonardo placed the holy group is modelled on such rock formations, remembered from his native Tuscany. Melzi's 136.